There is no recipe for business success. Angela De Souza says there are few rules when it comes to setting up and growing a successful business, and even some of those can be broken if they stifle your creativity or approach to working. In this book she shares her journey of how she built the Women's Business Club from nothing to the huge national success it is today, nuts, bolts and all. Angela has written a book that is quite unlike other books about starting and growing a business – though packed with tips and advice it is not so much of a 'how to do it' book but rather a 'how I did it'. In a style that is both accessible and refreshing, she covers topics such as facing opposition, raising children, tackling fear and managing depression while building a business. The book is candid, honest and packed with tips on how she did it in her pyjamas! Contents: I DID IT WITH ZERO CAPITAL It doesn’t take money to make money. I DID IT WITH CHILDREN Children, our greatest educators! I DID IT WITH DEPRESSION What you believe, you become. I DID IT WITH FEAR Fear, failure or fun. I DID IT BY CHANGING MY MIND What defines success, really? I DID IT IN THE BATH Slowing down and smelling roses. I DID IT CONSISTENTLY Success is doing the same thing for a long period of time. I DID IT WITH FIVE PEOPLE You can choose your friends. I DID IT GENEROUSLY The giver is happier than the getter. 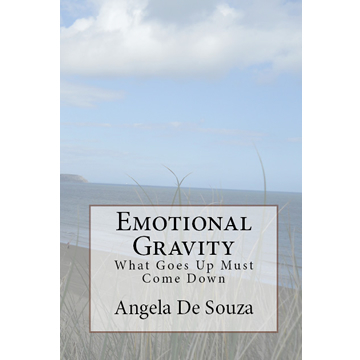 Angela De Souza has opened her “doors” in this heartfelt biography of her life and her business journey. I particularly like how Angela DID it (notice that I have emphasised the verb to DO!) against all odds and adversities. I believe that the message in this book is no matter where you are, how you feel and what you are wearing, the most important thing is to deal with it in your mind and get on with your life and business in a fun and ethical way. Use your weaknesses to your advantage, seek opportunities and take calculated risks. If you believe hard enough that, you can achieve your dreams…then who can tell you the opposite? What can stop you from reaching your goals? As a newly start-up business woman, I can relate to what Angela says, her emotions, her solutions, her journey, her fears, her down times and her laughter with her children…we’ve all been there right? One-Way or another, especially with feelings of “self-doubt”…”what if’s”…procrastination. After 23 years of working in the corporate world, I have finally had the courage to hand in my resignation letter to my line manager and start my own business. I have chosen Friday 13th 2015 to be my last day and adventure into the entrepreneurial world, head held high, change of mind-set and the support and opposition of many around me. Reading through “I did it in my pyjamas” has brought back memories of the feelings that I experienced at the time of starting my business. I can only say that it has given me the strength to persevere and make my own dreams a reality and has reinforced my belief that “perfection is overrated” and I can DO whatever I am set out to do and that I am not alone in this journey. It is time for me and to show my personality through what I deliver. I do like the structure of the chapters in this book. All sections are thoroughly described and visually interesting to read, the metaphors used and the comparisons with family life make it more real and human. In addition, the quotes at the beginning of chapters build up the emotions and set the scene. The small tweetable comments that you can find everywhere in the book, makes you think and motivates you to move forwards with your business and your life. I can easily see those nuggets in an appealing graphic for those visual readers. I strongly believe that “it is not what you know” but “who you know” that will make it possible to reach a successful business life and be connected to your ideal audience, build meaningful relationships and providing value will give your business “true” advocates that would be very happy to promote your business without expecting anything in return. Just want to finish this review by “Thanking” Angela for giving me her knowledge, experiences, failures, fears and fun moments and truly say that I have enjoyed knowing you Angela, your family and your business journey. This book is essential for any entrepreneur! Angela De Souza gives an amazing account of how she turned her weaknesses into strengths to built a successful business from scratch and stresses that there are no rules or ‘right’ ways of doing things in business. A lady full of inspiration and ‘out of the box’ ideas. You can’t help but be inspired and motivated. If you’re looking for a book on how it’s possible to start your business from nothing… then this is the one for you! Specialising in helping start up businesses and business ‘turn arounds’ she knows her stuff. I really enjoyed reading this book! If you’re trying to get a business or project going and feel you have a lot of obstacles getting in your way and stopping/ delaying you from achieving your dreams, Angela covers most of these obstacles in this book, sharing with us the obstacles she faced and how she either overcame them or turned them around to use them to her advantage and as a result built her own successful business. Lots of excellent nuggets of information which you can use in your professional and personal life. Very inspiring read, which I highly recommend. I did it in my Pyjamas is a practical and realistic guide to running a small business. What I love about Angela’s book is that it is open and honest, with no hype! 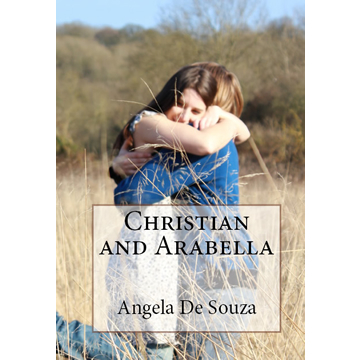 The book is packed with real life examples of what’s worked and what hasn’t worked for Angela. She has also shared snippets from her personal story where she has detailed the highs and lows of being in business, and simple strategies that you can follow. I had some real aha moments from Angela’s approach to running a business and being a success – without adhering to any rules. 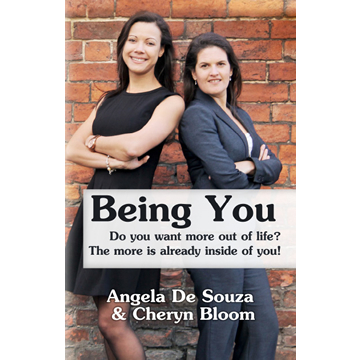 Being successful is about being authentically you, which Angela clearly demonstrates how to do in her book. A really easy and inspiring read. A very refreshing read. Angela offers a very open and honest account of being a small business owner, with valuable insights for others to draw on. Very authentic and inspiring.